A Tale of Two Illiberalisms: Why Is Poland Failing Where Hungary Succeeded? The European Union has threatened to sanction Poland unless it drops legal reforms that undermine the independence of its judiciary. The Polish legislation mirrors earlier changes in Hungary, leading many analysts to draw parallels between the broader challenges to liberal democracy by the two regimes. There are certainly similarities between the goals and rhetoric of Fidesz, the ruling party in Hungary since 2010, and PiS (Law and Justice), in power in Poland since 2015. Both appear to be following the same template: First, target the highest courts and the judiciary, then restrict the independence of the media and civil society, and finally transform the constitutional framework and electoral laws in ways that enshrine their hold on power. Viktor Orban of Fidesz and Jaroslaw Kaczynski of PiS share the same goals, have had lengthy meetings together, and have repeatedly vowed to protect each other from potential EU sanctions. In both countries, these actions amount to, as Orban declared in 2014, deliberately “building an illiberal new state on national foundations.” They are justified on the grounds of needing to protect the respective nations, whether from the hazards of immigration and refugees (portrayed as bringing “Syrian terrorists” into East European hamlets), or from the legacies of the communist era, which PiS especially views as pernicious and unacceptable. Yet there is a critical difference between the two countries: Fidesz has overwhelmingly succeeded in its Hungarian project; PiS has not. One fundamental, and striking, example, is the targeting of the courts. In Hungary, the Constitutional Court was greatly weakened: Fidesz expanded and packed the court with its allies, restricted its jurisdiction, and changed the rules by which the court reviews laws for constitutional compliance. Fidesz lowered the retirement age for judges, so that over 200 had to leave in 2011, created new qualification requirements, and created a new National Judicial Office, to name judges. Its first president? The wife of a close friend of Orban and a founder of Fidesz who largely wrote the new constitution. The entire judiciary is thus now under partisan control in Hungary. And the process was remarkably efficient: It took less than a year from taking over in mid-2010 to not only pass these legal changes, but write and adopt the new (and highly controversial) constitution. In contrast, while PiS has made moves in exactly the same direction, it has been only partly successful. The party talked of a need for a new constitution, or at least new amendments, and President Andrzej Duda (affiliated with PiS) has called for a constitutional referendum, but no concrete plans are in the offing, despite two years of holding office. True, PiS was able to appoint new judges to the Constitutional Tribunal and transform its decision-making powers by requiring both a court supermajority of two-thirds for decisions, and a quorum of at least 13 out of the 15 judges. 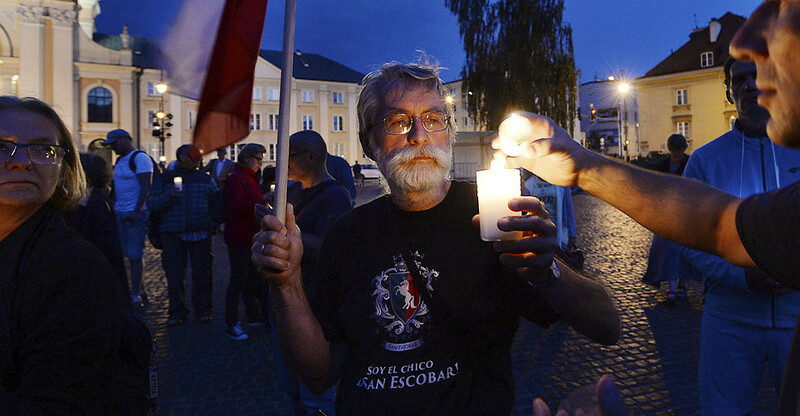 This controversial action, taken in the fall of 2015 shortly after the party was elected to office, targeted what Kaczynski had called “the bastion of everything in Poland that is bad” since, supposedly thanks to the courts, “all our actions could be questioned for whatever reason.” Mass protests shook the country, as they would a few months later when new abortion restrictions were proposed (and subsequently withdrawn) in April 2016. Yet when PiS attempted to follow Fidesz in bringing the rest of the judiciary under explicitly partisan control in July 2017, it failed. Three new laws were put forth, which would have accomplished similar goals to those successfully accomplished by Fidesz: They would reorganize the Supreme Court and retire its judges, bring the courts under the Justice Ministry (which would now appoint both judges and prosecutors in legal cases), and reorganize the common courts. After unprecedented mass protests dominated politics for several days, and against all expectations, Duda vetoed the first two laws, but signed the third, to the outrage of PiS parliamentarians. So what happened? Part of Fidesz’s advantage is obvious and mechanistic: It controls a super-majority in the Hungarian parliament, unlike PiS, which only has a majority. Since constitutional changes require supermajorities in their favor, Fidesz clearly has more leverage, which it used immediately after 2010 to ensure that the fundamental governing principles, freedom of the media, civil society, electoral laws, and judicial review would all serve its ends. But a less obvious difference is critical: that of elite expertise. PiS appears to have all the commitments of Fidesz, but half the competence. The Fidesz leadership, from Orban on down, is composed of trained lawyers, who had the legal expertise to scrupulously follow the letter (if not the spirit) of the law. The party passed enabling laws that expanded its power, moved quickly to sequence its transformation of the constitutional and legal order, and did not back down. In short, illiberal rhetoric and undemocratic aims have proven no substitute for legal and parliamentary expertise. As the comparison of Fidesz and PiS suggests, to destroy the rule of law, it is first necessary to understand it. Anna Grzymala-Busse is Professor of International Studies at Stanford University. While on some subjects reform can appear implausible, there are still numerous migration-related issues where the parliament has been able to act. The way in which far-right politicians were able to take advantage of the Global Compact as a tool for political posturing can be instructive. The Paris Peace Forum—What’s Not to Like? Underneath the niceties of inclusion and the value of bringing in as many voices, perspectives, and resources as possible, multistakeholderism comes with its own downsides. Current debates on the challenges brought about by xenophobes and Euroskeptics across the EU overlook the fact that, until now, their ideas and tactics have gone largely unchallenged in an organized sense.